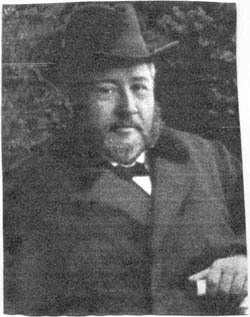 At the age of twenty-two, Charles Spurgeon almost quit the ministry. He and his wife, Susannah, had been married less than one year. Their sons, Charles and Thomas, were infants. After three years in the big city, Spurgeon’s ministry had solicited envy from his opponents, admiration from the evangelicals, and criticism from the press. Susannah often hid the morning newspaper to prevent Charles from reading its headlines. The evening of October 19, 1856 commenced a season of unusual suffering for Spurgeon. His popularity had forced the rental of the Surrey Garden Music Hall to hold the 12,000 people congregated inside. Ten thousand eager listeners stood outside the building, scrambling to hear his sermon. The event constituted one of the largest crowds gathered to hear a nonconformist preacher — a throwback to the days of George Whitefield. A few minutes after 6 o’clock, someone in the audience shouted, “Fire! The galleries are giving way! The place is falling!” Pandemonium ensued as a balcony collapsed. Those trying to get into the building blocked the exit of those fighting to escape. Spurgeon attempted to quell the commotion, but to no avail. His text for the day was Proverbs 3:33, “The curse of the Lord is in the house of the wicked” — a verse he would never preach again. An eyewitness recorded, “The cries and shrieks at this period were truly terrific. . . . They pressed on, treading furiously over the dead and dying, tearing frantically at each other.” Spurgeon nearly lost consciousness. He was rushed from the platform and “taken home more dead than alive.” After the crowds dissipated, seven corpses were lying in the grass. Twenty-eight people were seriously injured. Spurgeon’s joy was based not only on his own ability to recover, but on God’s ability to replenish. It was a joy that would balm Spurgeon in future controversies when he felt beleaguered and bewildered. The joy Spurgeon had after 1856 was a radical joy — a joy deeply rooted in the soil of the supremacy of the God who was great and grand enough to make good things come out of evil. As Joseph told his brothers, “You intended to harm me, but God intended it for good to accomplish what is now being done, the saving of many lives” (Genesis 50:20). The same God who called Spurgeon to London would not abandon him on the banks of the Thames River. On the contrary, God used this horrible event in his life to save the lives of countless others, for the widely circulated negative press put the young pastor’s preaching on England’s radar — and eventually on the world’s. After his death, a telegraph alerted the world to Spurgeon’s passing. Evangelicals from differing theological tribes and traditions sent their condolences to Susannah. One scholar has noted, “If every crowned head in Europe had died that night, the event would not be so momentous as the death of this one man.” Over 100,000 people passed by Spurgeon’s coffin at the Norwood Cemetery. We would have it so happen that, when our life’s history is written, whoever reads it will not think of us as “self-made men,” but as the handiwork of God, in whom his grace is magnified. Not in us may men see the clay, but the Potter’s hand. They said of one, “He is a fine preacher;” but of another they said, “We never notice how he preaches, but we feel that God is great.” We wish our whole life to be a sacrifice; an altar of incense continually smoking with sweet perfume unto the Most High. Oh, to be borne through the year on the wings of praise to God to mount from year to year, and raise at each ascent a loftier and yet lowlier song unto the God of our Life! The vista of a praiseful life will never close, but continue throughout eternity. From psalm to psalm, from hallelujah to hallelujah, we will ascend the hill of the Lord; until we come into the Holiest of all, where, with veiled faces, we will bow before the Divine Majesty in the bliss of endless adoration. This article originally appeared on Desiring God, and is reprinted by permission of the author. I love what Cody Cunningham has to say about the humility of Charles Spurgeon, one of my great heroes. I too read and really enjoyed Dallimore’s book on Spurgeon, one of my favorites as I was writing Spurgeon’s bio to introduce my book We Shall See God. David Brainerd (1718–1747) served as a missionary to the Delaware Indians of New Jersey. He was orphaned at fourteen, and in college he suffered from debilitating tuberculosis. Having endured great suffering while serving in a fruitful ministry, he died at age twenty-nine.